These are some extracts from the letters that my Great Uncle Reg wrote home from active duty in France, Egypt and Turkey in the First World War. There are some extracts from the letters below, and I can provide the full set of letters in a .pdf file to anybody who makes a small donation to the site and e-mails me to ask for them. The pdf contains full transcripts of 5 letters (approx 2,700 words) and 8 scanned images of the original pages and envelopes. You can also buy a kindle edition of the same material from amazon.com, amazon.uk etc. The amazon price is $2.99. Here is a SAMPLE comprising the first 3 pages of the pdf. The full pdf is 13 pages. To get a copy, make a small donation and e-mail me to let me know, or buy for Kindle through Amazon... Thanks. NB - if you paypal and e-mail me there will be a short delay until I read my e-mail, so do't panic if the file does not pop into your box the moment you make the donation. I check e-mail daily. Letters from Reg Knight, on active service during World War I.
Spelling etc. 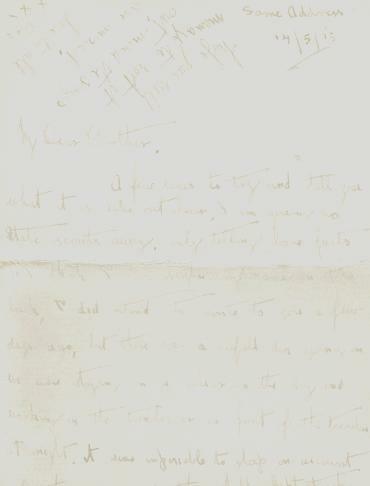 is as per the original letters (link to image). "...??..." refers to sections of illegible text. 1st January1918, from Reg Knight (the Y.M.C.A. with the Egyptian Expeditionary Forces) to his brother, Charles Knight. 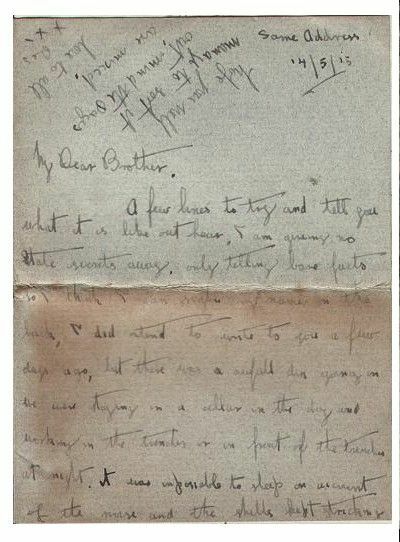 8th March 1918, from Reg Knight to his ? sister.